The Acacia Bed and Breakfast is a new business with an established history of client accommodation in Niagara Falls, Ontario. The Acacia B&B will be distinguished from other B&B businesses by its focus on our friendly and caring approach to your visit to the Niagara region. 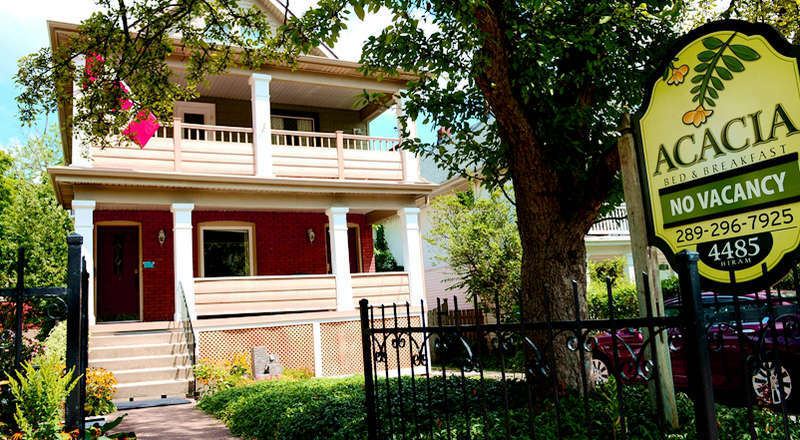 As the newest luxury accommodation in Niagara Falls and the closest B&B to the falls and the Niagara Casino, the Acacia Bed and Breakfast aspires to provide you with a warm and welcoming home away from home. The name Acacia (pronounced a-k-shia) is a flowering tree found around the world symbolizing health and vitality. The Acacia B&B aims to be the first choice for return visitors to Niagara Falls who want a clean, warm and inviting accommodation. The bed and breakfast industry in Niagara Falls is a multi-million dollar market and it's growing. Positioned as an exclusive choice for returning clients who want to stay close to the falls, casino and the tourist district, these customers are likely to visit Niagara Falls every few years and make decisions regarding accommodations based on quality rather than price. An attractive breakfast will be served for those who want specialized breakfast foods not found in most chain hotels or restaurants in Niagara Falls. 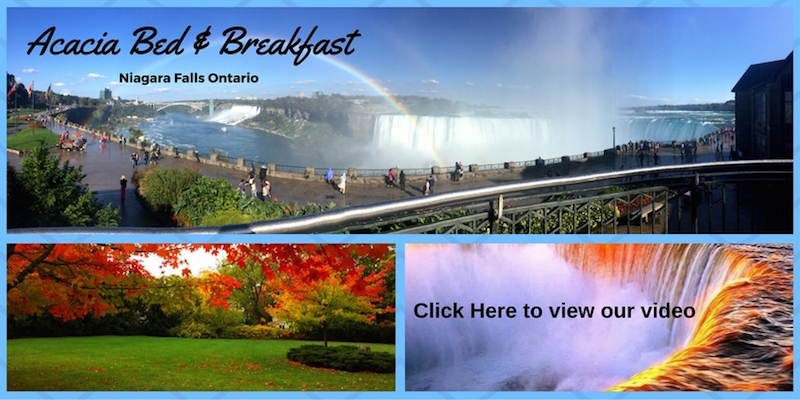 As the closest Bed and Breakfast to the falls as well as the Niagara casino, the Acacia Bed and Breakfast aspires to bring you the comforts of home with the luxury you seek in a restful night sleep. Whether you're coming for a special event, vacation or just a get-away, we hope that you will experience a relaxing visit to Niagara Falls, one of the seven natural wonders of the world. There are plenty of activities to greet you in Niagara Falls, Ontario. Viewing the natural beauty of the falls is the most spectacular aspect of your visit. Afterwards, you can take a walk to Clifton Hill, the main tourist region only two blocks away from the Acacia Bed and Breakfast. There, you will be able to see a variety of museums, fun attractions, or dine at local western or internationally renowned restaurants. Take a short drive around the region and you will discover many other pastimes such as golf courses, wine tours, Marineland, Butterfly Park, bird park, water park, Omni theatre and nature trails. Special note: as we maintain a strictly drug-free house, please find an alternative accommodation if this is not acceptable. We strive to accommodate the individual tastes of our guests. Our customary breakfast includes a choice of juices, fruits, a variety of breads, yogurt, many styles of eggs, bacon, ham or sausage, french toast, pancakes, sandwich, croissant, waffles, or omelets. Vegetarian and healthy selections are also available. One block from the Rainbow Bridge. One block from the Hwy 420. One block from the Niagara Casino. Two blocks from Clifton Hill.